What if I were to tell you that there is a way to meet America’s infrastructure needs and have more efficiently run state assets without having to raise taxes, privatize government assets, or shutter important public goods? 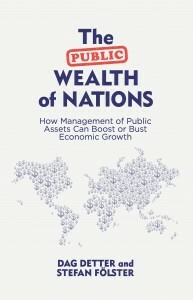 The authors of “The Public Wealth of Nations,” give a fresh perspective and blueprint on how governments, both at the national and local levels, can unlock vast economic potential in public wealth. The authors propose countries create national wealth funds or independent holding companies, managed by professionals, to handle public assets ranging from government land and real estate to state-owned corporations and banks. This is a must-read for policymakers and executives. I would not be surprised if the book became required reading for government majors at universities. The book is written by Dag Detter and Stefan Fölster. This interview will appear in the July issue of the Sovereign Wealth Quarterly. The interview was conducted by Michael Maduell, President of the Sovereign Wealth Fund Institute. 1. Discussing “The Public Wealth of Nations,” what drove you and your colleague to write the book? Developed economies haven’t discovered the other side of the balance sheet – assets. Especially public commercial assets, which provides a very appropriate tool to create economic growth, strengthen democratic institutions, and fund infrastructure investments. This book was written to highlight these issues. We wanted to raise the awareness of these vast opportunities and give a different perspective on how to manage these vast assets. 2. In broad strokes, can you highlight some points about public wealth and perhaps give some definition to it? Public wealth is the less well-known side of the public sector balance sheet – in essence, that is the value of total assets minus total debt. Public commercial assets are those assets that are not funded by taxes and that themselves can generate an income from sources such as real estate, land, buildings, forests and toll roads, as well as corporates and banks owned by the government. These are either on a central government level or local level. When we talk about state assets, it is really only assets held at the national or federal level. This is the tip of the iceberg. 3. How large is this wealth segment? Most governments own commercial assets that are worth more than government debt. Globally, the value is on the same order of magnitude as annual gross domestic product (GDP), or US$ 75 trillion, and well over the value of global public debt. We argue that how public wealth is governed is one of the crucial institutional building blocks that divide well-run countries from failed states. 4. How can managing this wealth better improve democracy? Unchecked, public wealth can ruin entire countries and undermine democracy. Public wealth can be a curse if it is left as an open cookie jar, tempting its overseers into corruption and clientelism. Even in successful countries like the U.S., which are by and large, well organized, public wealth invites democratic perversion that can incite huge policy failures and impose unreasonable hardship and social costs on at least some of its people. Every percentage point of improvement in the return on government-owned assets globally is equivalent in value to the GDP of Saudi Arabia – means less money wasted or used for corruption, clientelism, and rent seeking. 5. You mention several ways to raise returns in public wealth assets. Which is the easiest? Just increasing transparency creates an enormous boost to productivity – including setting up a list of assets, obtaining a market valuation and thereby understanding the alternative use of each asset. Consolidating the entire portfolio of commercial assets within a ring-fenced holding company, similar to that of a private sector PE fund, at arm’s length distance from short-term political influence. If governments managed its assets efficiently, it could generate annual returns more than the yearly investment in infrastructure including transportation, power, water, and telecommunications. 6. Putting state-owned commercial assets into an independent ring-fenced holding company at arm’s length from short-term political interference with professional management brings strategic and financial expertise and advantages to the operations, as well as economic benefits to the country. How can the public and policymakers be educated on this issue? Media and the financial sector plays a key part in explaining the benefits to the two main stakeholders taxpayers and investors. Media can debate the concept, especially to the public and taxpayers, who are paying the taxes funding governments. Investment banks and financial advisors analyze and discuss with investors who are currently funding public debt. There is a huge wall of money looking for assets. They cannot find these assets; most portfolios are not transparent or even visible. The more efficiency in public finance, the better the economic growth. 7. You mention Temasek Holdings in the book and a bit about the story of Singapore. What countries should mimic the Temasek model? Any developed economy could mimic Temasek’s approach and emulate their model, either on a federal, state or city level. Many emerging markets would also benefit from this concept. The first movers will most likely be at the local level. Smaller portfolios would most likely embrace this easier compared to the complex Federal government level. At the local level, a city like Chicago might resolve its financial difficulties. Other cities like London and New York could use it to help solve the need for increased investments in housing and infrastructure. 8. What is the difference between a SWF and a NWF? Sovereign wealth funds (SWF) resemble hedge funds, managing liquidity generated from exports. National wealth funds (NWF) handle the existing domestic operational assets. For example, with regard to Singapore, Temasek Holdings is the country’s national wealth fund, while the GIC is its sovereign wealth fund. A sovereign wealth fund and national wealth fund should never mix as they have very different operational culture and objectives. 9. Why should governments limit or not have political appointees in corporate governance roles at national wealth funds? Setting up a NWF has a similar rationale as setting up an independent central bank, responsibilities are delegated to professionals. NWF’s management and board members need to be true professionals in order to be able to understand and manage the commercial risks involved and be incentivized accordingly. With responsibility and accountability delegated to an independent institution, the chairman and/or the CEO of the NWF will be held accountable not the Prime Minister. 10. Isn’t is easier for smaller countries to implement these changes? Small or large portfolios comes down to communication and organization. Smaller countries, or cities are however far more likely to feel the competitive pressure, and therefore realize they need all assets to be productive and competitive against competitors. A National or Urban Wealth Fund enables a government to consolidate its commercial assets, which allows professional managers to create an integrated inventory and business plan for the assets as a whole. With such an initiative, the governments could not only pay for vital infrastructure improvements, and restore its public finances to good health, but also strengthen democratic institutions and fight corruption. 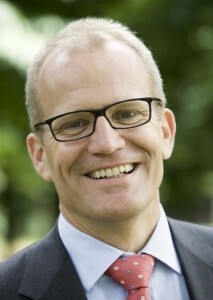 Dag Detter is Managing Director of Whetstone and a Fellow at Legatum Institute. Previously he was the President of Stattum, the Swedish government holding company and Director of State Enterprises at the Ministry of Industry.